We will help you prepare your manuscript into a professional format for publication. We use Microsoft Word track changes so you can easily review every correction or edit we suggest. You will receive a document with recommended edits and additional comments in comment boxes and/or at the end of the document. The price includes an optional follow up consultation, to discuss the edit in full with your editor. You can learn more about that in the FAQ section of the page. It takes us up to two months to complete an edit. This is because we work through the manuscript carefully and that process takes time. However, we do try and deliver earlier whenever possible. Here are details of the members of our editing team. Chris runs this website. He launched his writing services in 2013. This comprehensive copy editing service was added to his portfolio of services in 2018. 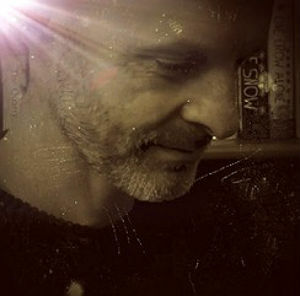 Chris has self-published his own books and has also published hundreds of authors in anthologies via the To Hull And Back short story competition and the writing challenges he runs on this website. He has experience with editing and formatting manuscripts in preparation for publication, along with extensive knowledge of platforms like CreateSpace, Amazon Kindle Direct Publishing and Lulu. All prices are in Great British Pounds (GBP). The first table gives prices for novels. The second table gives prices for shorter stories. Payment can be made via PayPal or by bank transfer. Full details can be found How to Pay and Submit section further down the page. 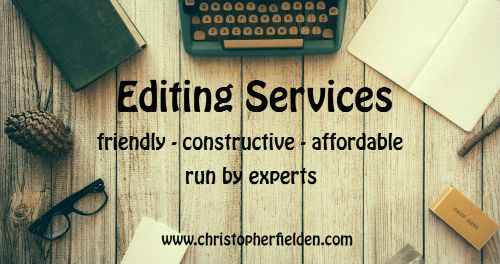 Our editing fees are calculated to allow us the necessary amount of time to thoroughly review and edit your work to a professional standard. This process is time consuming. All the edits and additional comments are carefully considered so you gain the most out of the service. Make your payment via PayPal using the buttons in the table above. Once you've made your payment, you will be returned to a confirmation page on this website which tells you what to do next. You do not have to have an account to use PayPal and can pay by credit card, debit card or even direct debit. We use PayPal because it is secure, safe and protects your personal information, ensuring a safe transaction. You can read more about PayPal in the FAQ. Once you have paid, email your story as a Microsoft Word document (as a .doc .docx or .rtf file) to . Please state your name, contact details and give us a brief overview of your project. 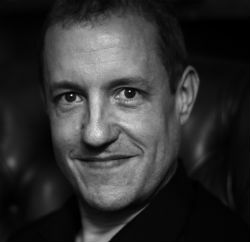 Chris will reply to your email within 3 days to let you know he's received your work safely. If there are any problems he will let you know. Don’t worry, Chris checks his spam folder too! If for any reason you do not hear from him within 3 days, please get in touch. If you need any more information, please check the FAQ below, or contact Chris. Below are some frequently asked questions we hope you'll find useful. If you have any questions that are not covered here, please don't hesitate to contact Chris. We will never share any of your personal information or the manuscripts you submit to anyone. Anything you send to us is treated with the utmost confidence. Your privacy is respected at all times. Chris will offer to add you to his email newsletter once your edit is complete. He sends newsletter emails out, on average, once every 2 weeks. If you do not want to be added to the mailing list, simply let him know. If you do decide to receive newsletters and change your mind later, there is an easy unsubscribe option in every email sent out. How long will it take you to edit my work? We aim to edit your manuscript and return it to you within 2 months (60 days). Whenever possible, we strive to make our turnaround time faster than this. However, we pride ourselves in the quality of our services, so we don't rush our work. We will try and give you a more accurate idea of timings when replying to your initial email. What is the difference between an edit and a critique? This copy editing service is a thorough, line by line edit of your manuscript. We take an in-depth and comprehensive approach to tackle any grammatical problems. Our critique service is a broad, comprehensive assessment of your manuscript. You receive specific advice on how to develop a stronger narrative, better pacing and more engaging characters. The critique is a big picture analysis, so it should be conducted before a comprehensive edit. You can learn more about our critique service here. Yes! You will receive detailed edits and suggested improvements for your consideration. These are all provided in a Microsoft Word document. The edits will include fixing typos, spelling mistakes, incorrect wording, grammar, repetition and sentence structure. We sometimes use Word's comment boxes to make annotations regarding certain sentences, paragraphs and sections within the manuscript. The sentences / paragraphs will be highlighted and the comments will appear in a box attached to the highlighted area. This makes it very easy for you to see what the comments pertain to and review them. Once you’ve finished considering a comment you can simply delete it. All our comments will be delivered in a positive manner. We strive to encourage writers, not offend them with unnecessary negativity. We will always try to keep all criticism constructive, positive and encouraging. Part of any editing process is personal opinion. You may not agree with everything we recommend. Good! We don’t expect you to. But you will have considered an outside opinion, which can only help improve your manuscript. We strongly recommend using spellcheckers and diligent proofreading prior to submitting to us. This simply helps us do a better job. The edit includes a preliminary proofread. This will pick up most of the mistakes in a manuscript, but we often recommend a second or third proofread. Most professional novels go through this process a number of times before being published. This helps ensure all the typos are picked up. If you want us to read your manuscript a second time, we do offer discounted prices. This is because the second time through, there are fewer errors to find, even if you have rewritten certain sections of your work, so the job is less time consuming. What happens at the optional consultation? The consultation gives you the chance to discuss the edit in full with your editor. We can do this face to face in the Bristol / Bath area of the UK. If you're unable to meet us locally, we can provide the consultation by phone, Skype, FaceTime or any other medium that suits you. We have found that consultations help writers get the most out of this service. They have the opportunity to gain a full understanding of the edits and comments we've made by asking questions and talking everything through. Bouncing ideas off an editor can help a writer fully consider every aspect of the edit we've provided. Yes. We will consider editing any type of book or manuscript, including brochures, essays, scripts and corporate material. Below are some testimonials, kindly provided by authors who have worked with Ed in the past. Ed has been working as an editor for 15 years, but the service offered on this website is still in its infancy. More testimonials will be added as we receive them. You’ve made a grand job of editing the complete Tyler May series. Thank you for your consistent professionalism and honesty. As with everything I throw at you, Ed, you took the clumsy idea and perfected it so that it leaps off the page. Top work as always! Dear Chris of Fielden and Field. Good luck with the new venture. Too rich for my pocket but then I have always enjoyed being a skin-flint. The price of everything and the value of nothing, as the greatest writer of the language and, in my opinion, one of the worst novelists once penned, almost. Fielden and Field does sound a bit like a fifties Vaudeville comedy double act. Thanks, Keith. It’s a difficult one. Copy editing is very time intensive, so pricing has to reflect that. I appreciate not everyone will be able to afford it/want to use a service like this, but we’re unable to offer it at lower prices unfortunately. Our aim is to work with writers and small to medium sized publishers, who may have the budget for this kind of service. Our first projects are underway, so we shall see how it develops. Dear Chris, it was not criticism. It costs what it costs and you are in business to make a profit. I was just bemoaning the poverty in which I choose to live. If I could afford you, I would be hammering at your door. Kind Regards, Keith the Skinflint. Hi Keith. No problem, I didn’t take your comments as a criticism. I hope I didn't come across as being defensive – I was just trying to outline how we’d priced it. It will be interesting to see how the service develops as we get more projects under our belts. Hi Chris. There is no proofing for the number of pages I have. My number of pages is less than 50,000. Am I missing something? Please let me know. Hi Dedra. The prices are all based on the word count, not the number of pages. If you have your manuscript in Microsoft Word, it will tell you the word count. Hi Chris. I worded my last message wrongly. I meant to say, my book has less than 50,000 words. I didn't see pricing for that amount. It has 48,670 to be exact. I will look again. Thanks for getting back to me so quickly. The 50,000 word price is for stories up to 50,000 words in length. So your story would fall into that price band. Please let me know if you have any other questions.